FRESH 16oz cans Drank!! 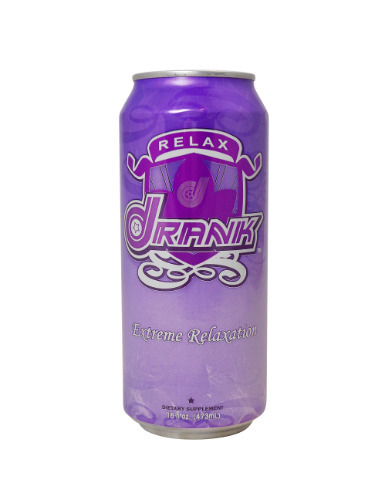 Drank is an extreme relaxation drink worth bragging about. It’s delicious, natural R&R in a can. Drank is an original – a carbonated drink to help you slow your roll. It gives you maximum grape flavor refreshment, made in the U.S.A.
Drank delivers with B vitamins and relaxants born in nature, like Rose Hips Extract, Valerian Root, and Melatonin. The purple has a purpose – to help you stay calmer in a crazy world. Axe that anxiety and stress. Wind down from a 0 to 60 kind of day. Clear your mind of all that noise.